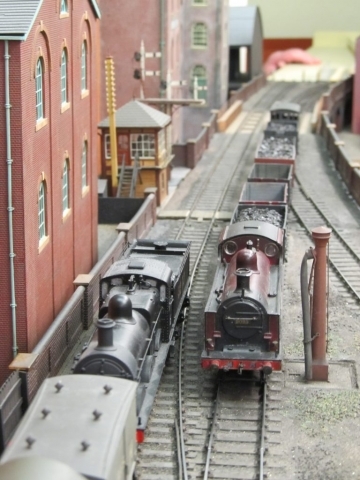 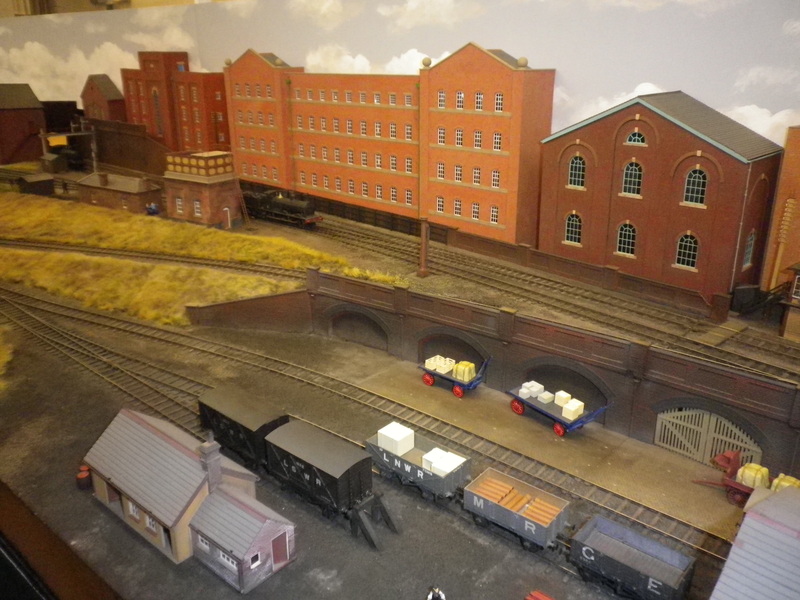 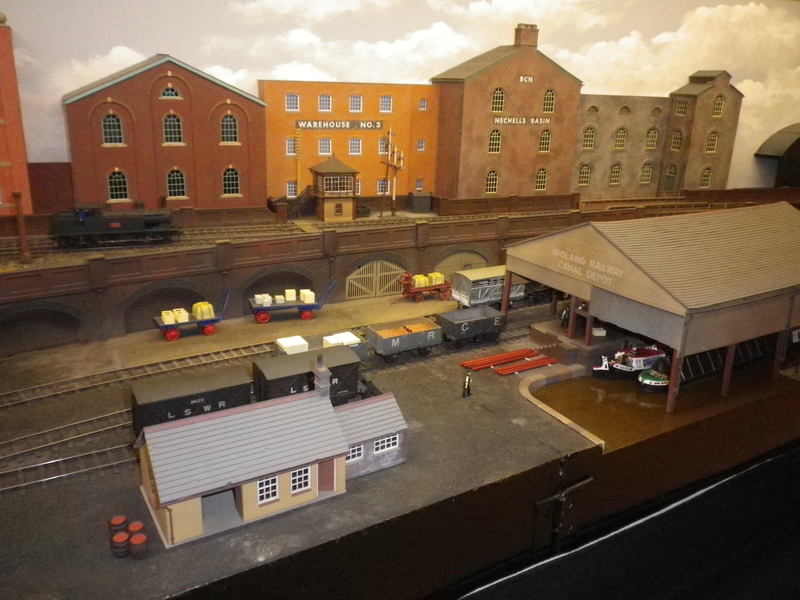 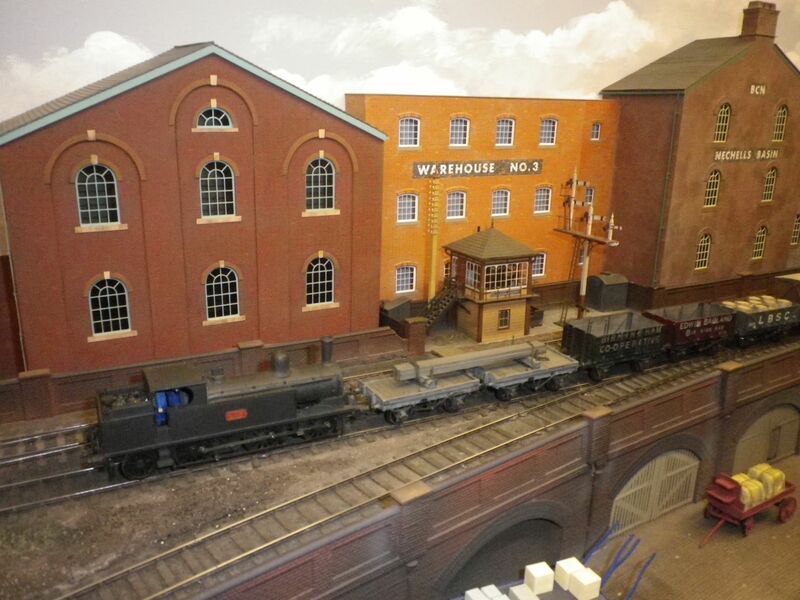 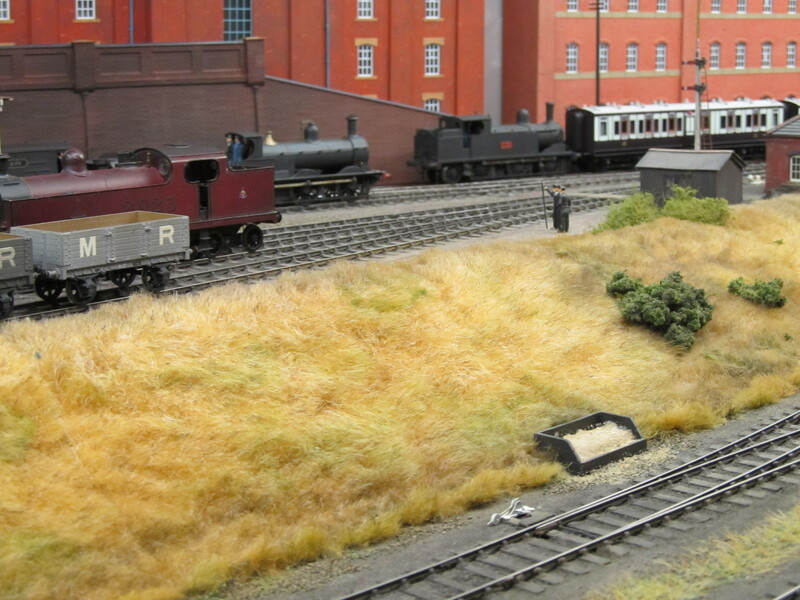 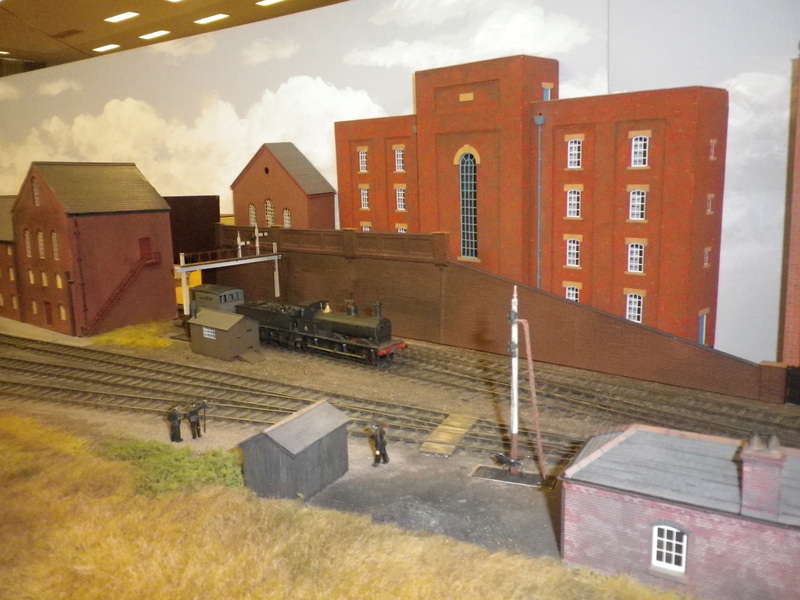 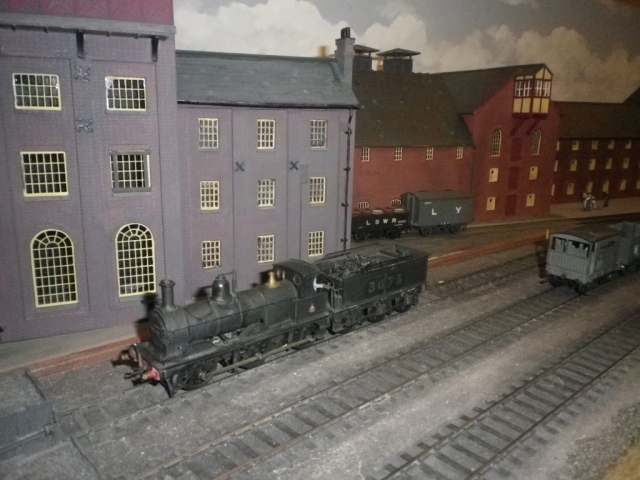 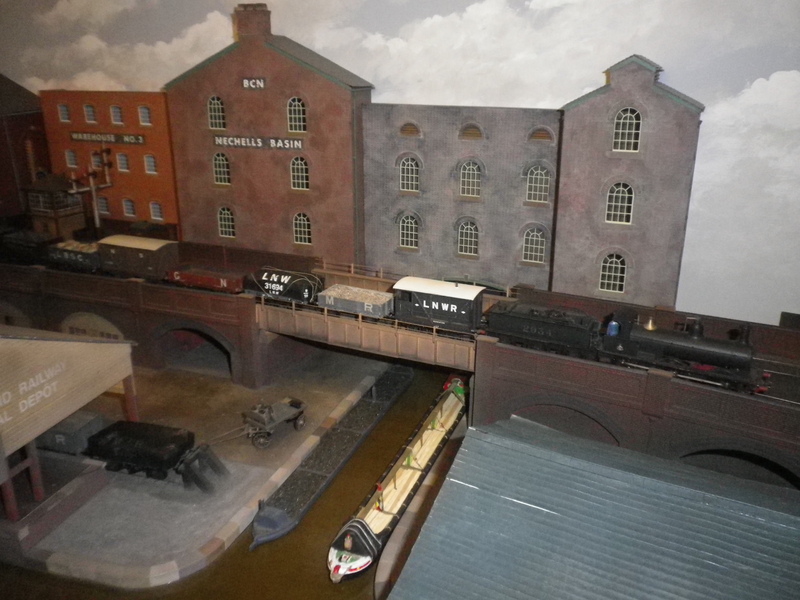 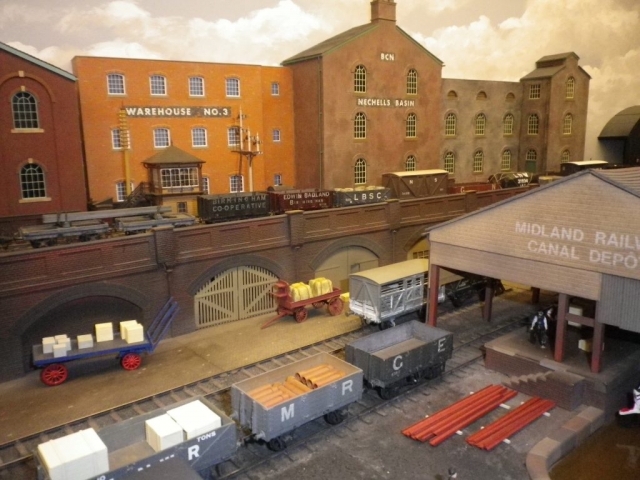 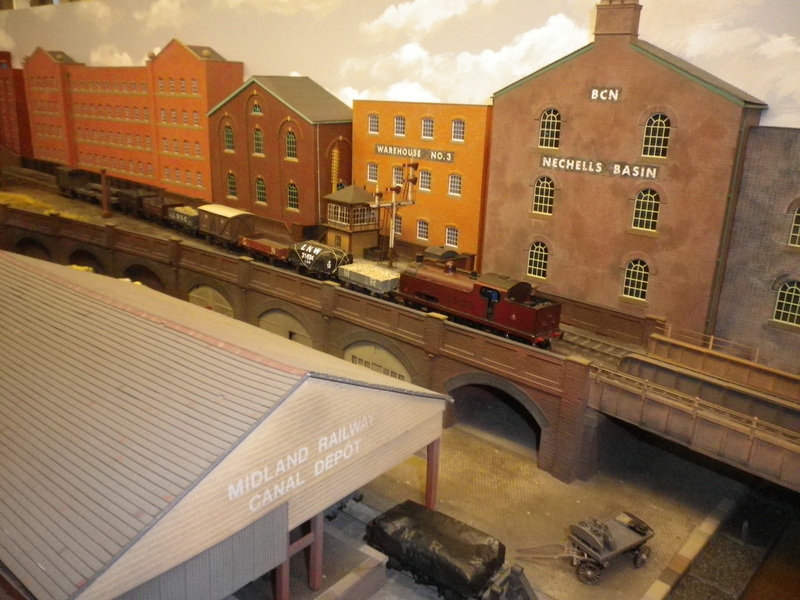 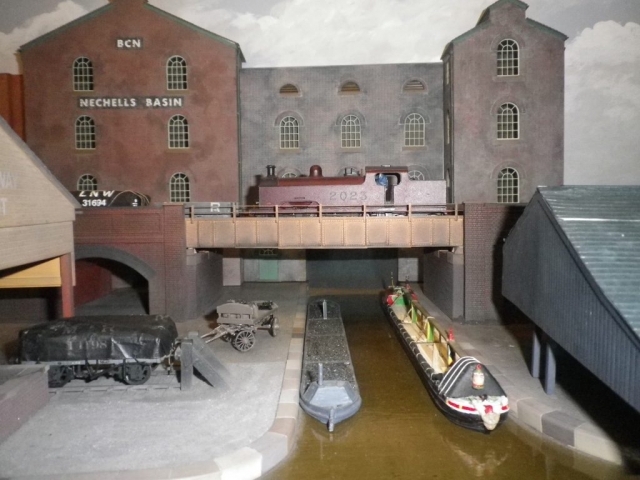 This layout has been built by the Westinghouse Model Railway Club (Chippenham, Wilts) S4 Group. 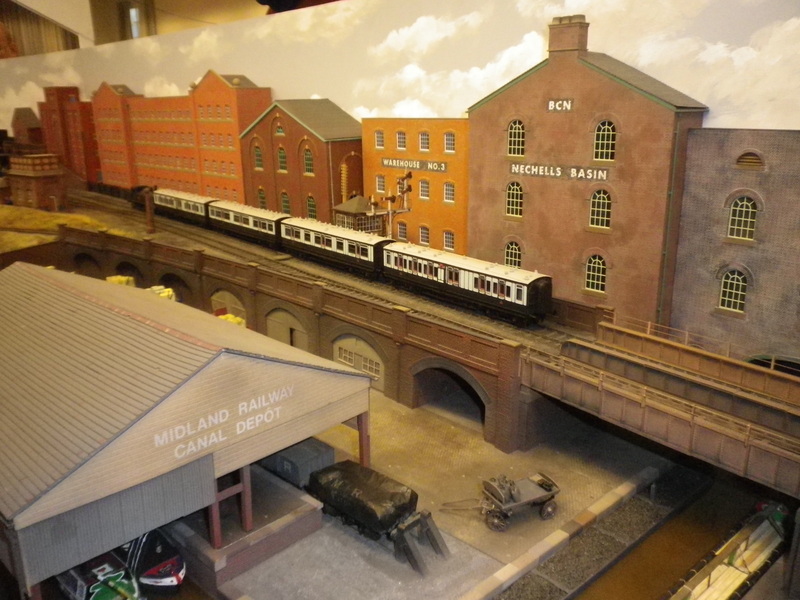 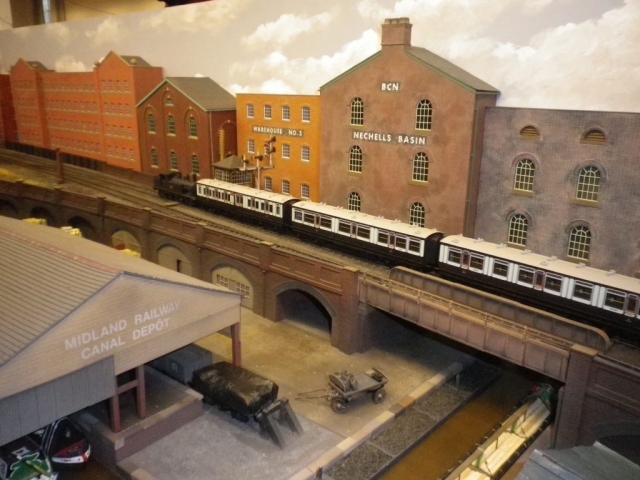 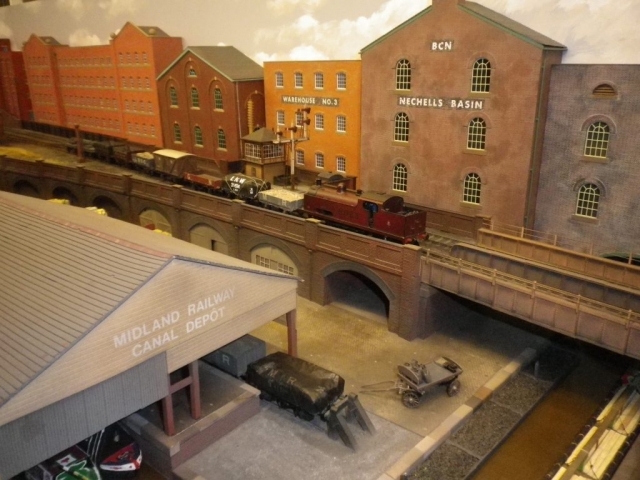 It is intended to represent an imaginary Midland Railway location somewhere on the heavily industrial eastern side of Birmingham about 1920-22. The layout includes a single main line, with a small marshalling yard and associated goods line, as well as a low-level canal interchange. 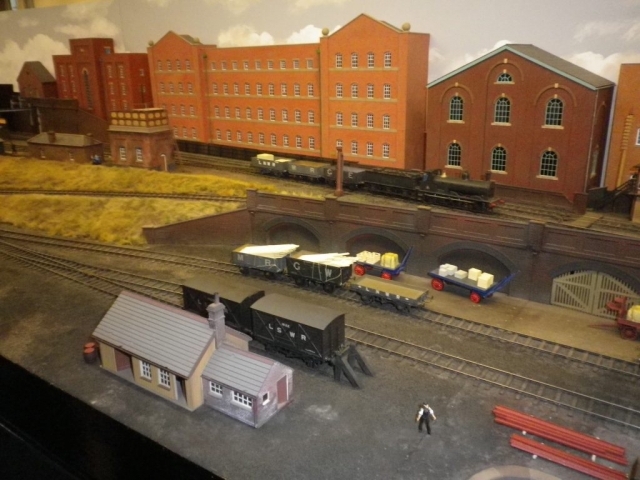 The project is not yet fully complete, but is exhibited here to show some techniques used in finescale modelling. 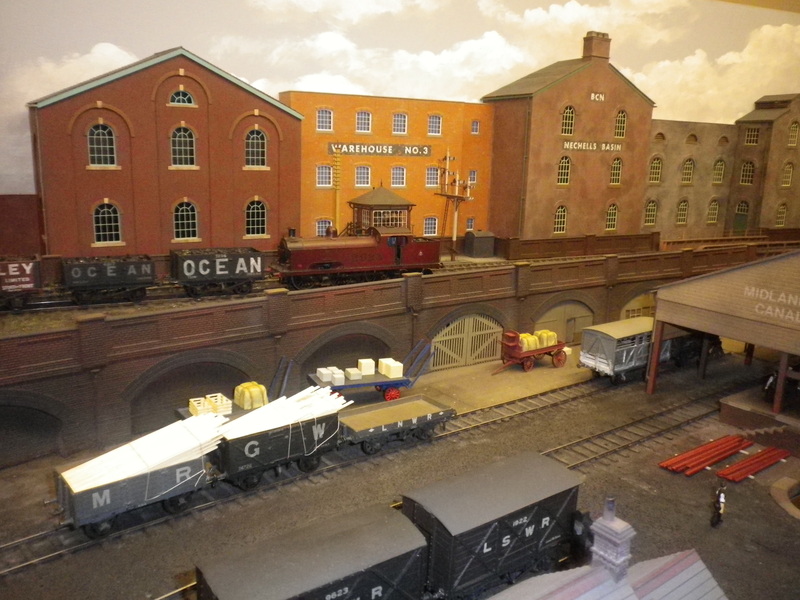 The baseboards are constructed from 12 mm and 4 mm ply, using Barry Norman’s girder construction – the thinner ply spaced with wood blocks to create a light and strong beam. 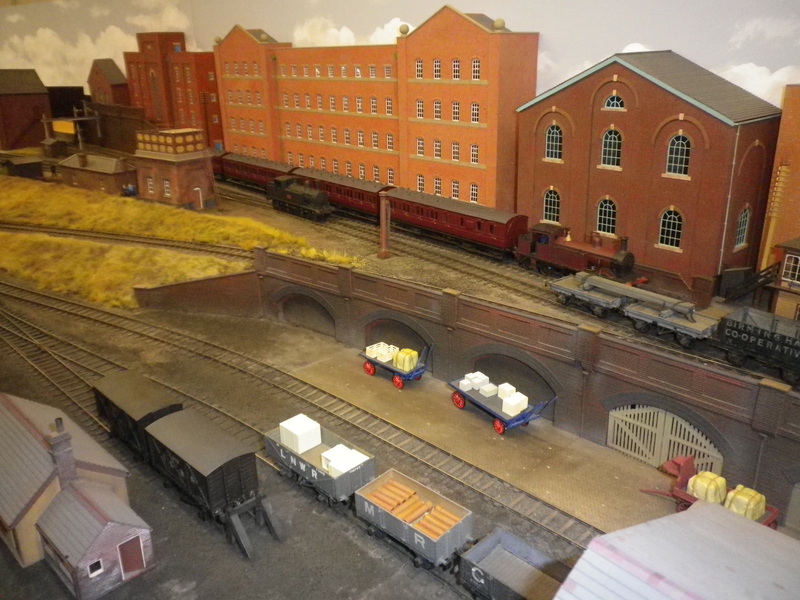 The layout is supported on a base of trestles and ‘L’ girders, as described by Iain Rice. 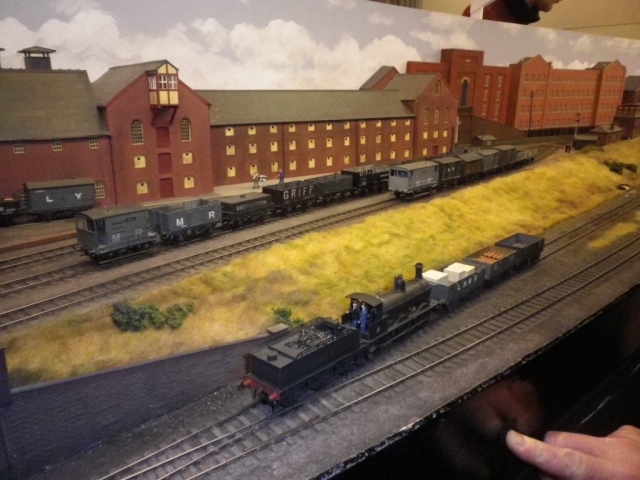 This system has several advantages: the base can be erected and levelled before the baseboards carrying the easily-damaged track and scenery are mounted; there are fewer legs and other components; and it can be used to support other layout projects. The plain track is based on C&L plastic-sleepered base; pointwork is built using the Brook Smith ply-and-rivet method. 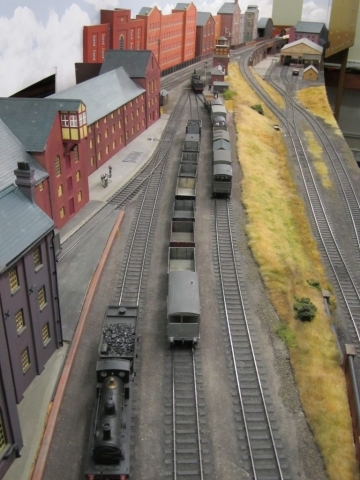 Steel rail is used throughout. Points and signals which would have been operated from the signal box are to be worked from an interlocked lever frame yet to be constructed; points which would have been worked on the ground are worked from the baseboard edge by means of wire rods. Exactoscale turnout operating units are used to operate the switch blades. 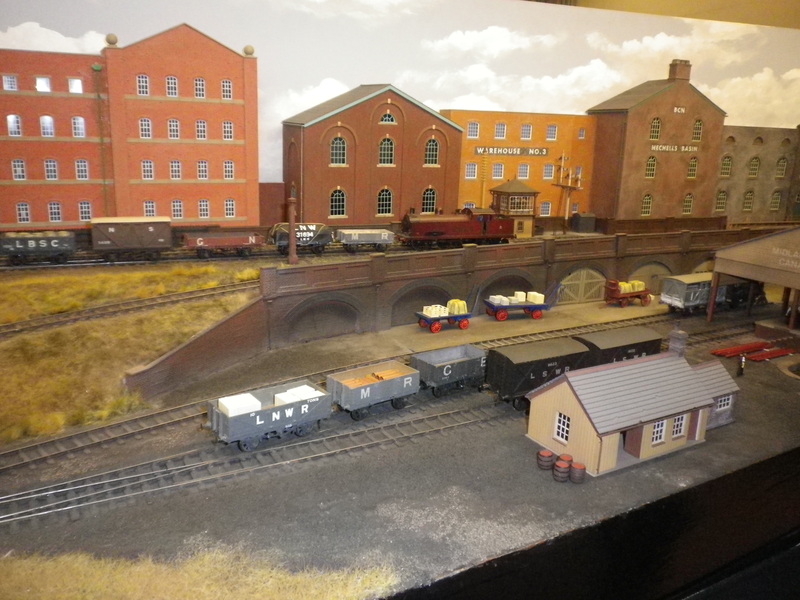 The layout is intended to be operated from the front as well as from the back. 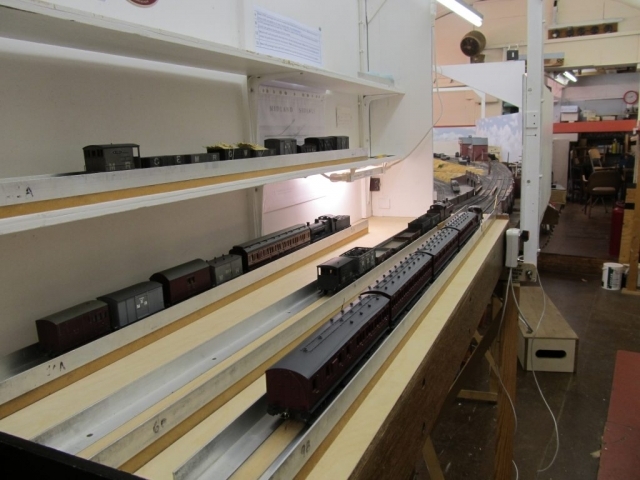 Fiddle yards are train-length and loco-length cassettes on plain baseboards.